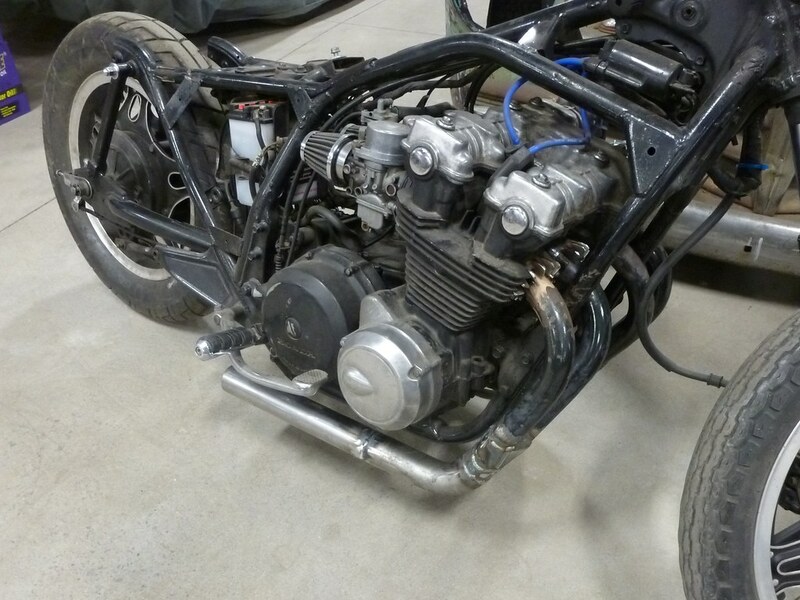 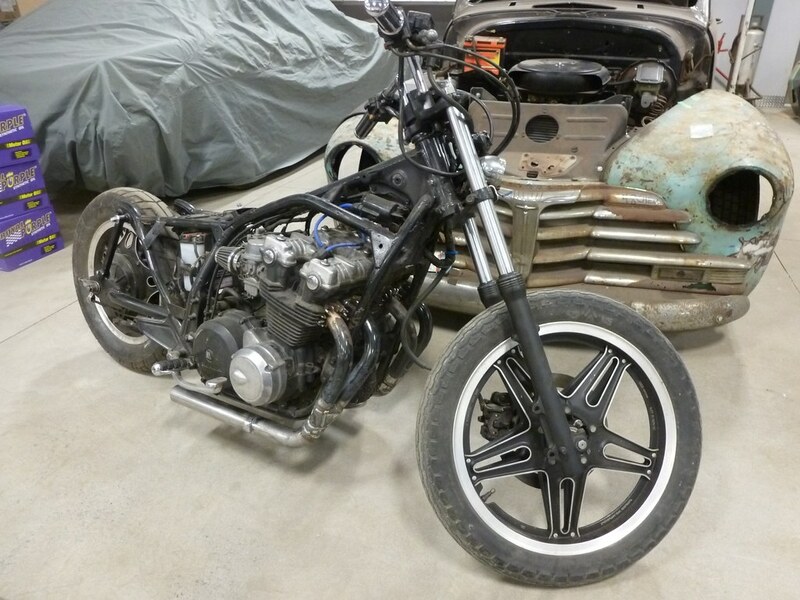 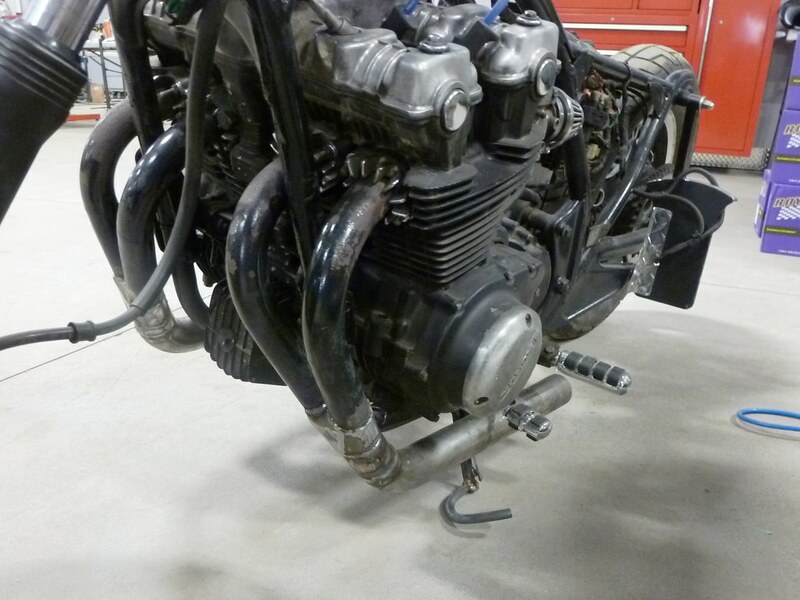 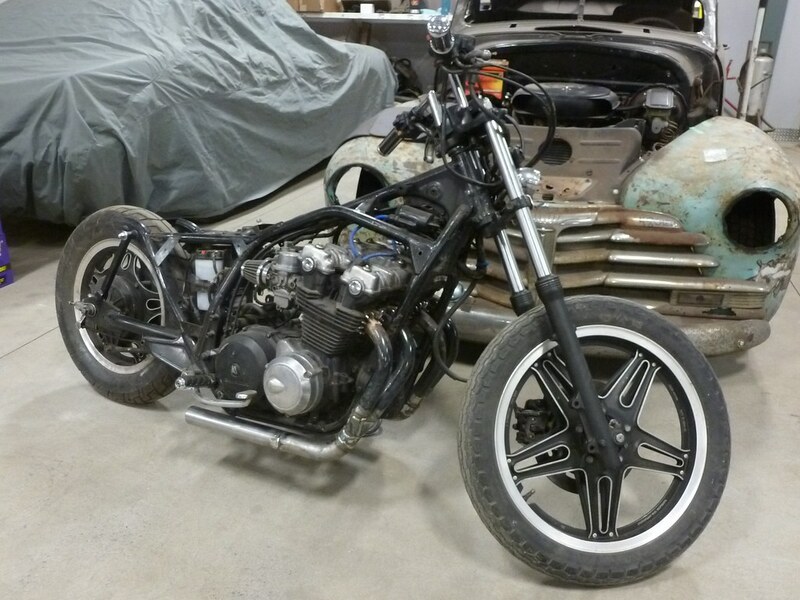 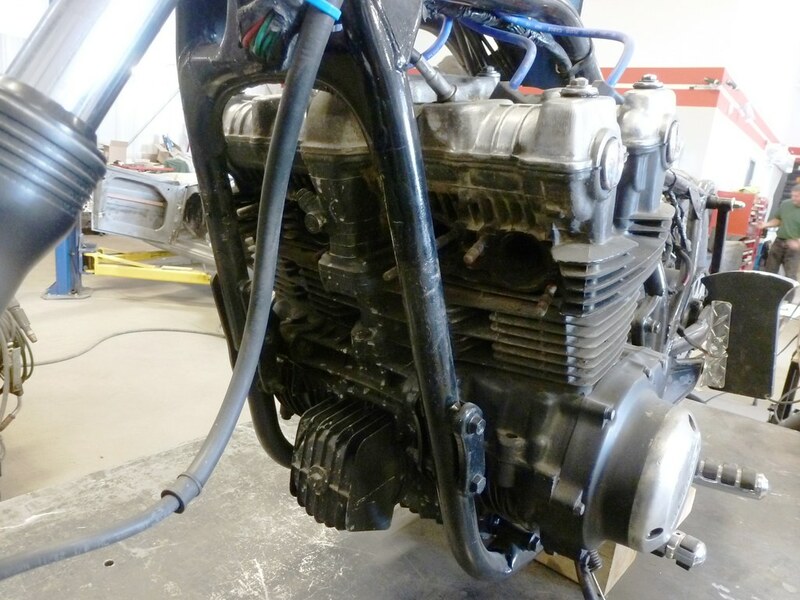 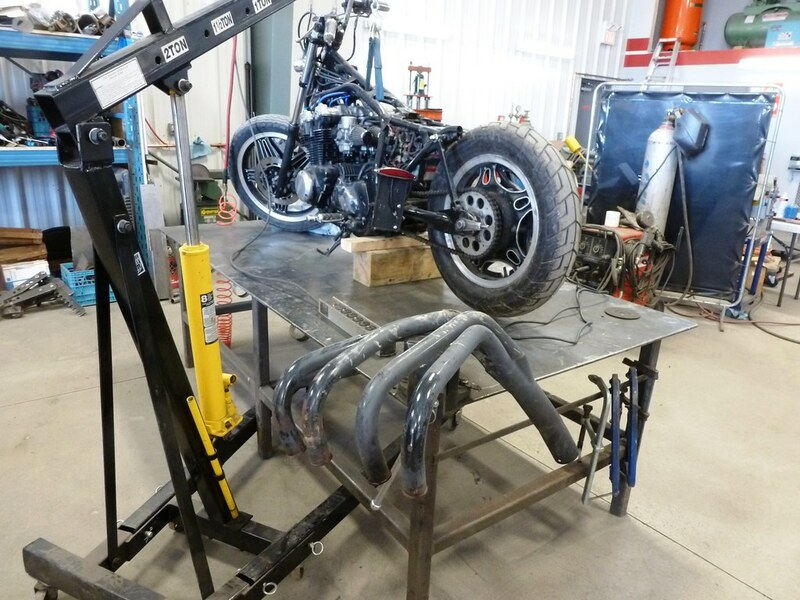 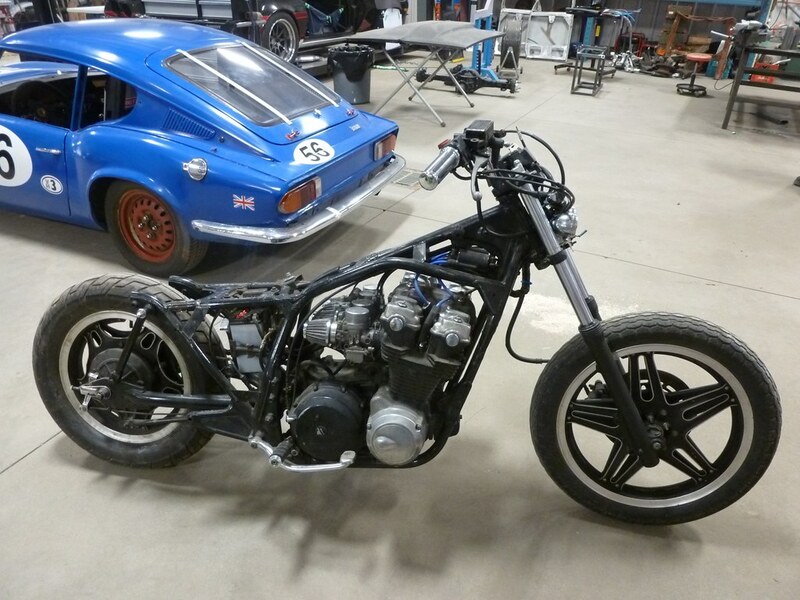 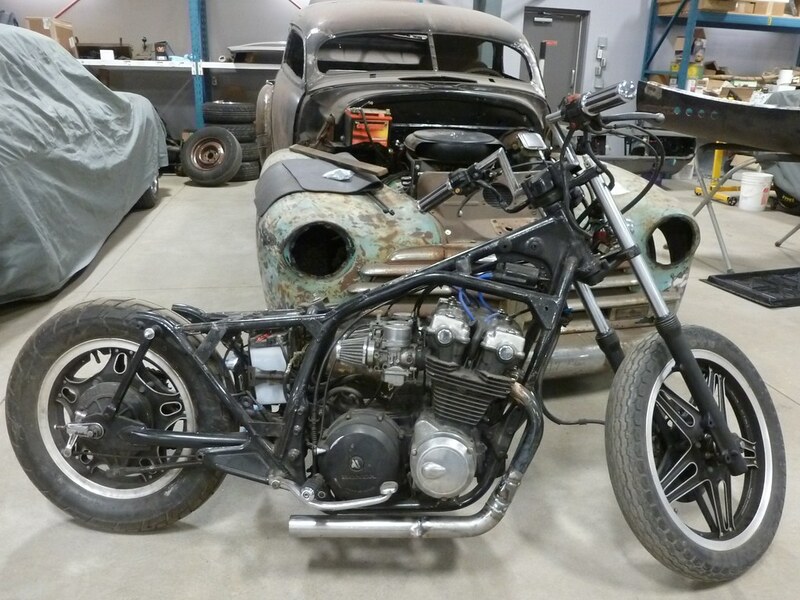 This 1985 Honda CB750C was in for a custom exhaust system. 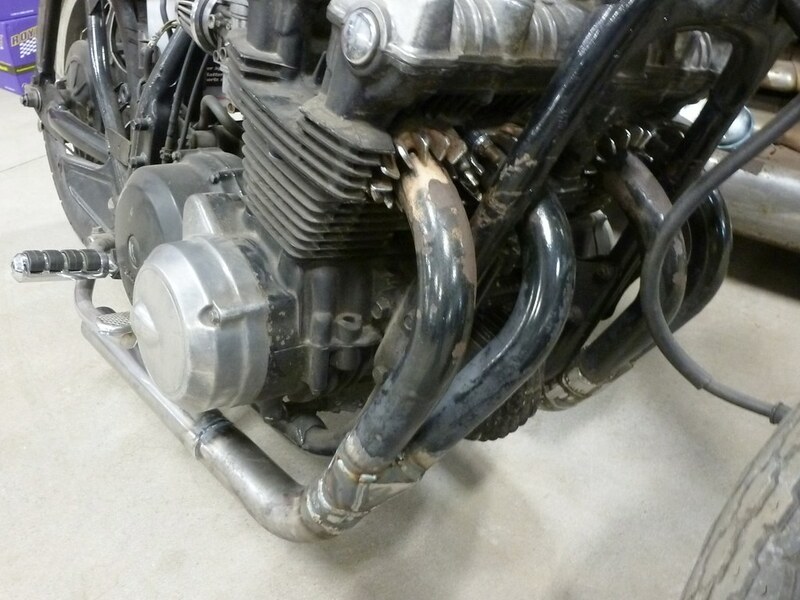 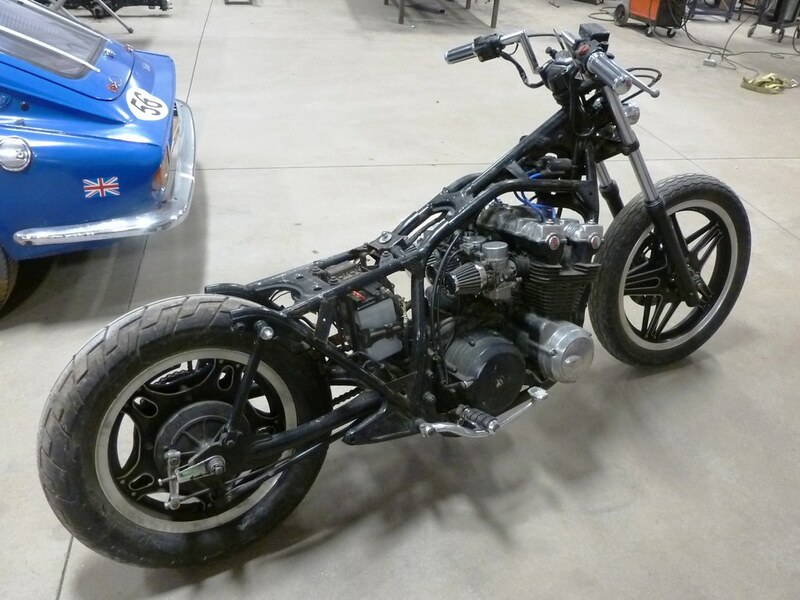 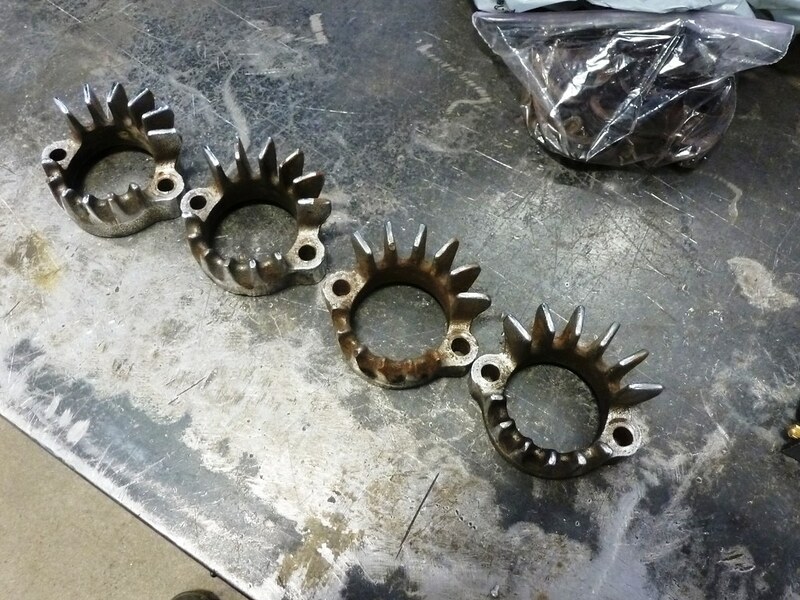 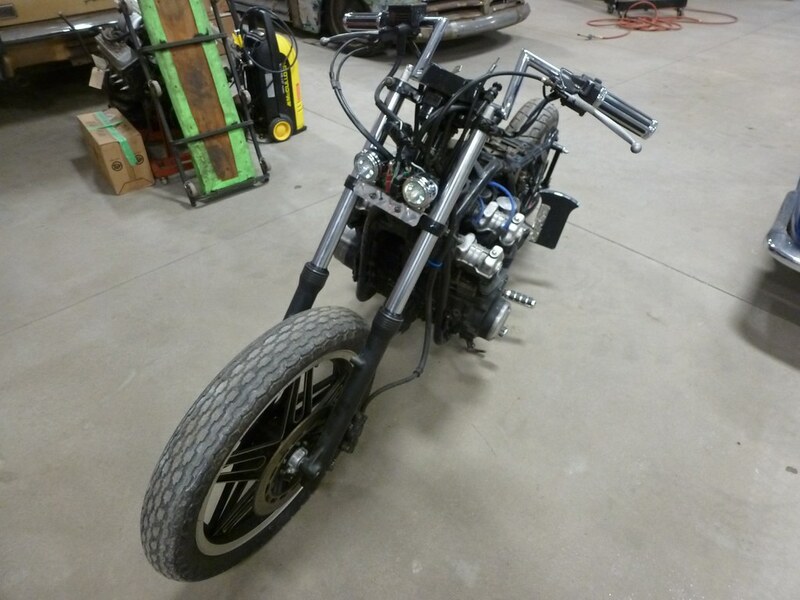 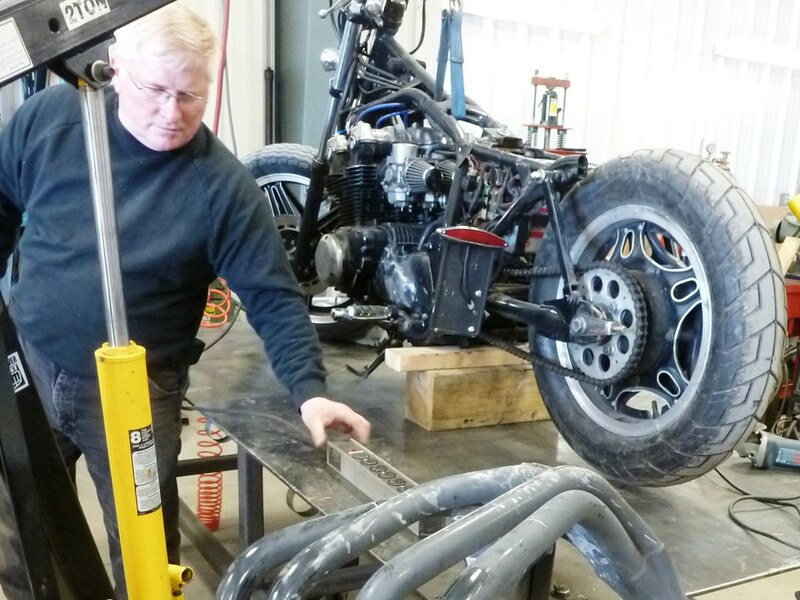 The owner wanted to change it from a 4-into-1 system to a 2-into-1 exiting on both sides of the motorcycle. 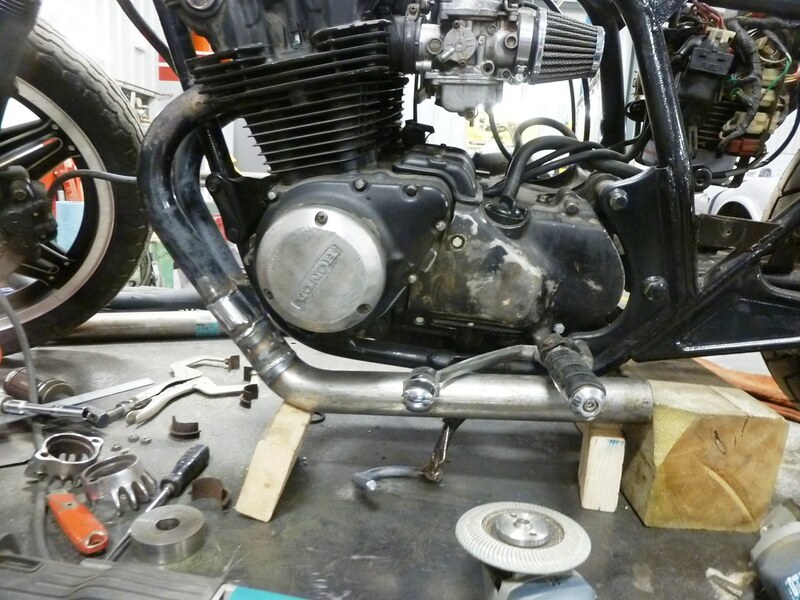 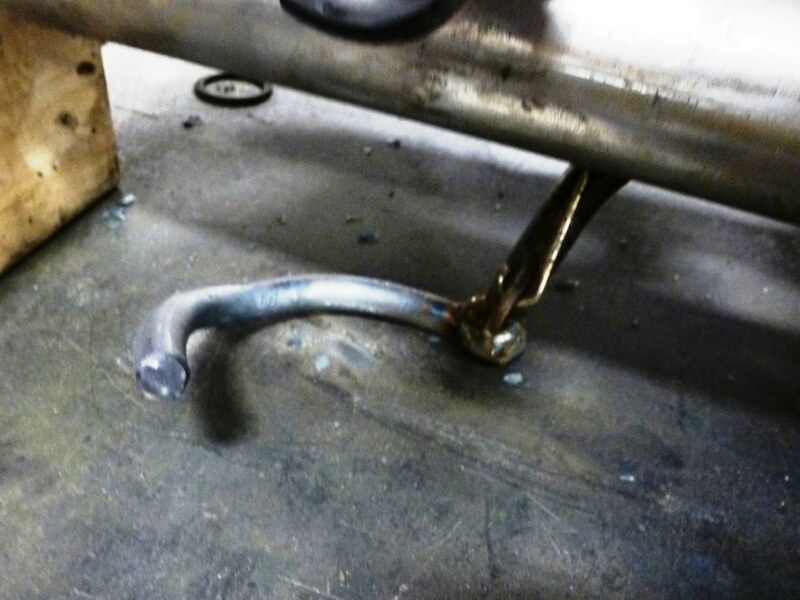 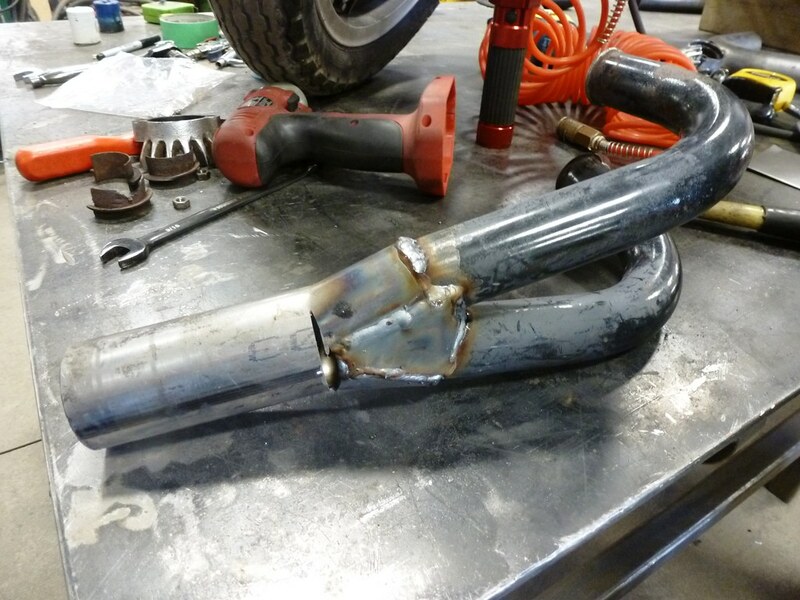 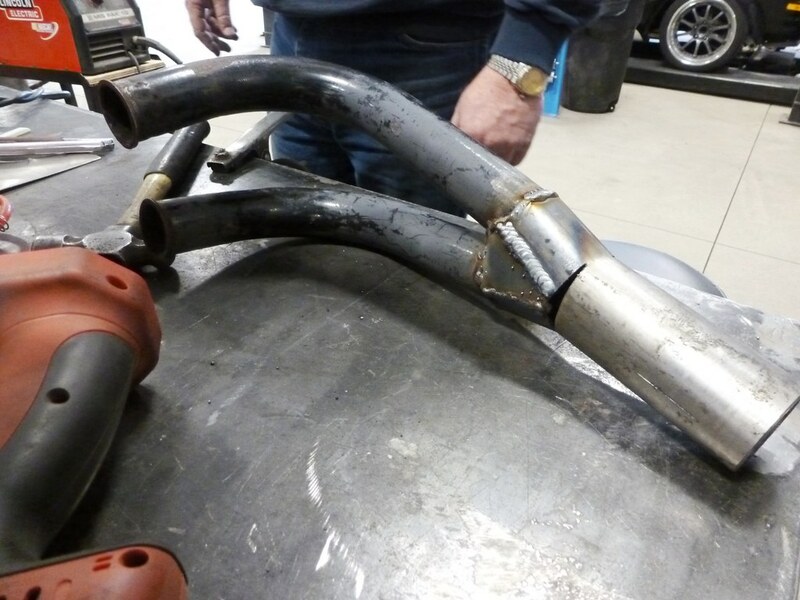 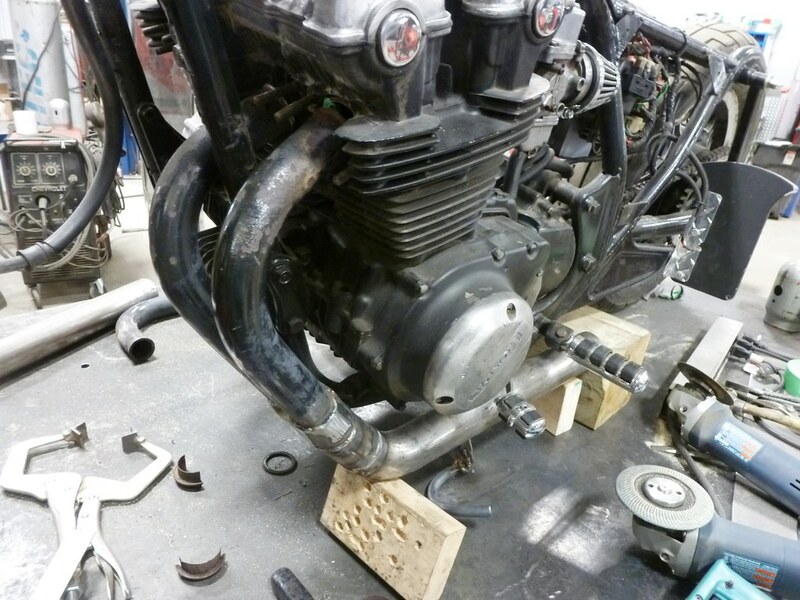 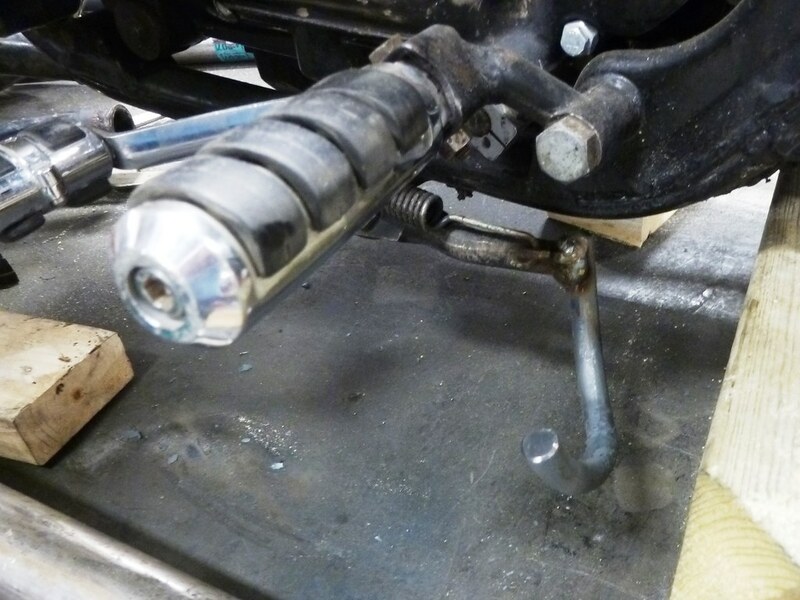 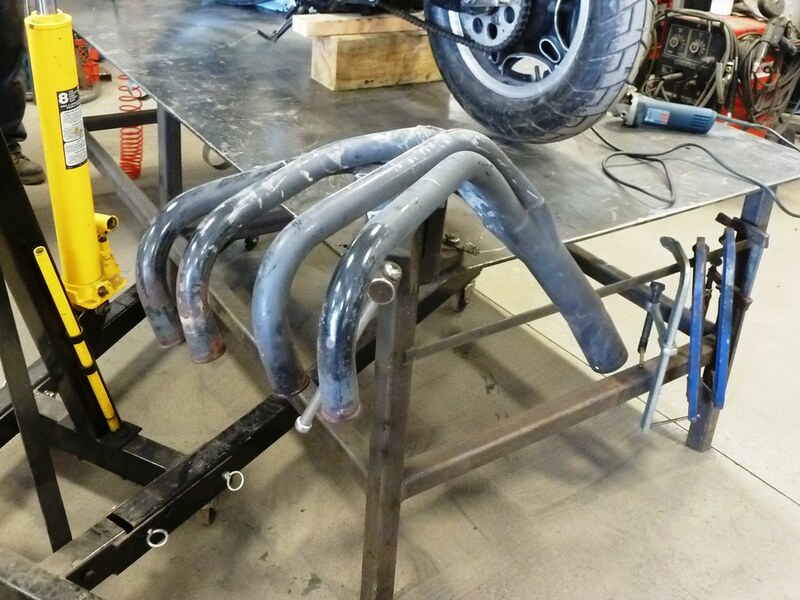 We also modified the kickstand to clear the new pipes.